All kind of steel repairs inc.
Our engine department offers a variety of services, including overhaul and service of main and auxiliary engines, measuring of mechanical parts, and the supply of engine stores (tools, steel products, chemicals, spare parts, etc.). Our mechanical departments skilled, educated and experienced ship engineers are ready for action 24 hours per day. Most have The Seamens Book and US visas, so we can perform services on equipment all over the world. Ships’ Supplier of engine stores, deck stores, medicine marine chemicals for engine & deck, provisions, maps, flags, nautical publications,steel, copper, bronez materials,office equipment and stationery, deck devices and pilot ladders, of Gangways. Purchase of scrap: steel, aluminium, copper, bronze. We use both “ISSA” and “IMPA” ship stores catalogues, what makes ordering easier and secures accuracy of delivered stores. We perform the review of ship hospitals along with the instruction of the use of medicines according to WHO. 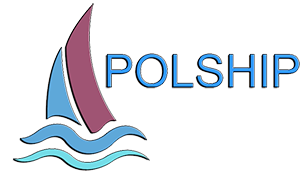 Polship is a private company providing repair services for sea ships in Polish and foreign ports. The company belongs to a group called POLSHIP LTD, skilled personnel ensure the highest level of service. Extensive experience allows us to flexibly adapt to the expectations of our customers. The company also realises projects of constructing the structures. The founder of the company is a graduate of the Naval Academy, who practiced for many years at the position of an officer in the shipping trade, and also earned a Master of Engineering degree in Naval Construction at the Institute of Technology in Szczecin. He has knowledge and experience in business management, and he gained project management accreditation according to PRINCE 2, MSP, ChM and MoR. We provide services in the scope: - Technical Management of ships - All kind of steel repairs inc. welding, piping, locksmith jobs etc. - Automatic control engineering, - Electric & electronic equipment repairs - engine & machinery repairs, - Life saving appliances & Fire fighting appliances - GMDSS service, - Ships’ supplies of all kinds. - All kind of steel repairs inc. welding, piping, locksmith jobs etc.